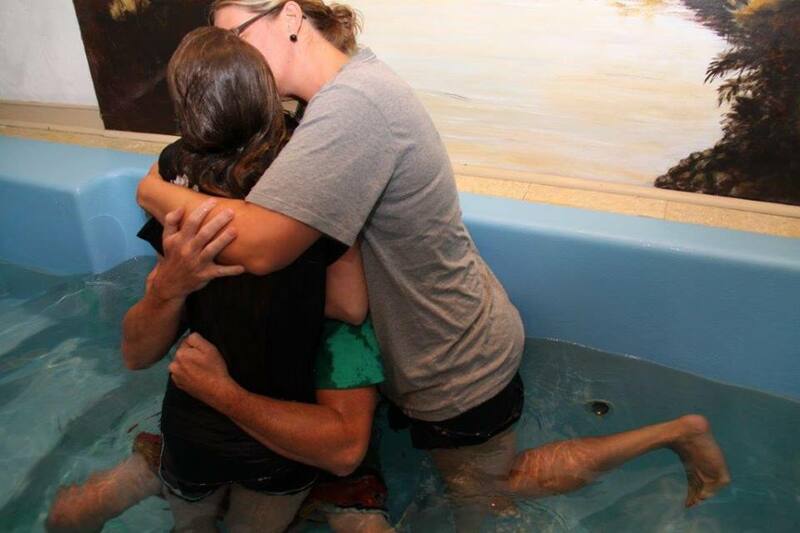 Sunday September 22, 2013 we celebrate because Olivia got baptized! Here, today, I confess and I repent. I will challenge her and call her deeper, I will intentionally have hard conversations, I will demonstrate the gospel, I will show her what it looks like to be a disciple, I will join God on mission and bring her with me, I will pour out my life for the sake of the lost and least, and show her and teach her and push her towards Jesus. This goes for Eden and Grayson too. And as a husband- to my wife, Robin, too. So, I’m guessing I’m not alone. Dads, as the spiritual leaders of our families, let’s start today, together- giving time to what’s most important- more important than school or sports or other activities- more important than jobs or perfectly manicured lawns or hobbies. Let’s work at being servant leaders of our families- listening to them and God’s Spirit- and doing whatever it takes to lead your family well.